Bombay Dyeing (The Bombay Dyeing & Mfg. Co. Ltd., established 1879) is the flagship company of the Wadia Group, engaged mainly into the business of Textiles. Bombay Dyeing is one of India’s largest producers of textiles, major products being curtains, bedsheets and towels. The company sponsors many events, including Bombay Dyeing Gladrags Mrs. India contest. Bombay Dyeing has many stores across many cities in India and is mostly loved for its beautiful dreamy designs and quality of the fabrics. 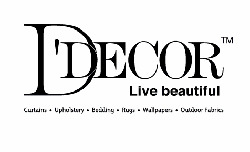 D’Decor is the world’s third-largest producer of curtain and upholstery fabrics. At D’Decor Home Fabrics Pvt. Ltd. (formerly known as Dicitex Decor Pvt. Ltd.), there is a continuous pursuit of excellence in performance, quality and innovation, and the passion to bring to you the highest, premium quality fabrics in the home furnishings space. The last eleven years bear testament to the strength of the Brand’s commitment. From 1999 to 2012, D’Decor has attained exponential growth. D’Decor exports home fabrics to 65 countries worldwide. D’Decor customers include some of the largest and leading global brands. Creative Portico (India) Pvt. Ltd is a formidable player in bed & bath soft furnishing industry in India. It markets Portico New York, Tommy Hilfiger Home, Therapeia range of health soft furnishing product under Portico and licensed kids merchandise. The range includes Bed sheets, Duvets, Duvet Covers, Towels, Towels Gift sets, Shower Curtains, Soya bean Quilts, Anti-Mite & Anti Bacterial Pillow, Eco Pillow, Micro bead Pillow, Bath Mats, Bath room set, Blankets and more. 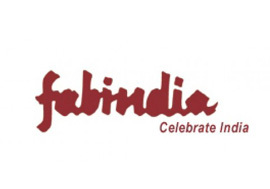 The major portion of Fabindia’s product range is textile based. Non- textile introductions to this range are Home Products, Organic Food Products & Fabindia’s range of authentic Personal care products. The Home Products range carries furniture, lighting, stationery, tableware, cane baskets and a selection of handcrafted utility items. FabIndia is loved for the typical handloom pattern of its bedsheets and curtains which seems beautifully hand woven and gives an earthy look. 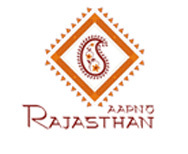 Aapno Rajasthan offers a range of amazing & extensive handcrafted gift items, for all those special occasions. The exclusive handcrafted items and high quality merchandise are the ideal Gifts for those special & memorable moments. The product range includes Home Furnishing and Decor as well as accessories. It all started with little enthusiasm in 1998, when the Brand started with a very simple thought in mind to take Rajasthani handicraft to every home & heart. Weaves Retail is India’s first eco-friendly textile brand for health conscious families, launched in mid 2008 with a single focus of having a wide range of bedspreads that bring revolution in Indian textile market. It is a 100% subsidiary of Shri Lakshmi Cotsyn Ltd (SLCL). The range includes innovative products such as Vitamin E (skin care) bed sheets, water repellent bed sheets, mosquito-bacteria repellent and stain free bed sheets. The range also include sother home furnishing products such as towels along with pillows, cushions and comforters. Additionally bath accessories, shower curtains, tablemats, table covers and all ranges of kitchen accessories. Swayam is a perfect synonym of designer home linen products in vivid colors especially crafted for Indian homes. The variety that Swayam offers reaches to every adorning & accessorizing space in homes. Swayam provides Bed sheets, Curtains, Diwan Sets, Kitchen linen and Decorative & Functional made-ups in beautiful, elegant & charming designs & colors. All these lively products are the result of constant research and development of the Swayam meticulous designing team. The fabrics are printed in various cities in Rajasthan, UP, Delhi, Gujarat and Tamil Nadu. Mangal Exports has been in the field of Home Textiles since last 30 years. Bianca The Brand specializes in table linens, window treatments, bath collections, and other home textiles. The Bianca Corporate headquarters are in Mumbai. Bianca is a high-end brand targeted primarily at the people who seek a unique lifestyle aesthetic in everything they do. Zynna, the world of exquisite interiors, has always been a trend setter, creating hi-end interior products for homes, offices and hotels in India and across the globe. Over the 40 years of our existence, Zynna has consistently pioneered new trends with our luxurious and avant-garde creations and ideas. As the exclusive Indian partner of iconic European & American brands, Zynna supplies over 5000 products including curtains, upholstery, wallpapers, chandeliers, floorings, rods & channels, automation systems, blinds & rollers, furniture and accessories to its partners across the country. Surya Exports was born in the year 1988 and with it a mission dawned; ‘To take India’s rich handicrafts and textile traditions to people the world over.’ In this quest, the company started out at as a successful export house of paper machie’ and brass items and became a pioneer in its own right when it ventured into the then relatively nascent handloom sector. Over the years, it consolidated its product portfolio to include a variety of home furnishing products with a special focus on floor coverings and cotton made ups. The coming years paved the way for expansion and bore fruit to the domestic division, Tree of Life. And with it, brand House This! was born.